As you might expect the box that the Ontrion battery comes in is a tad boring. Its only purpose is to house the parts that you already know you need. Inside the plastic clamshell box you get the 2300mAh (milliamp Hour) battery and a replacement back for the EVO 3D; like we said pretty simple. 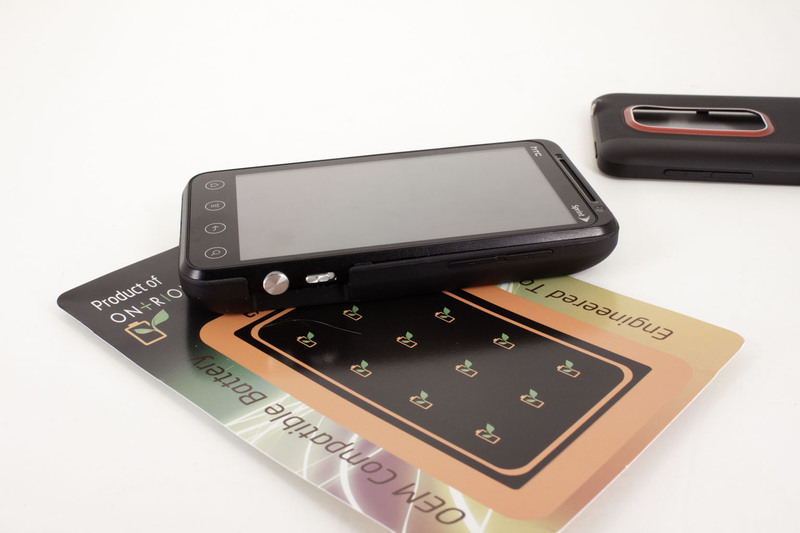 The battery itself is Lithium-ION (Li-Ion) which should give you good power. Ontrion also states that their packaging is 100% recycled material. This is where they derive their motto “Let’s Embrace Green in Life”. 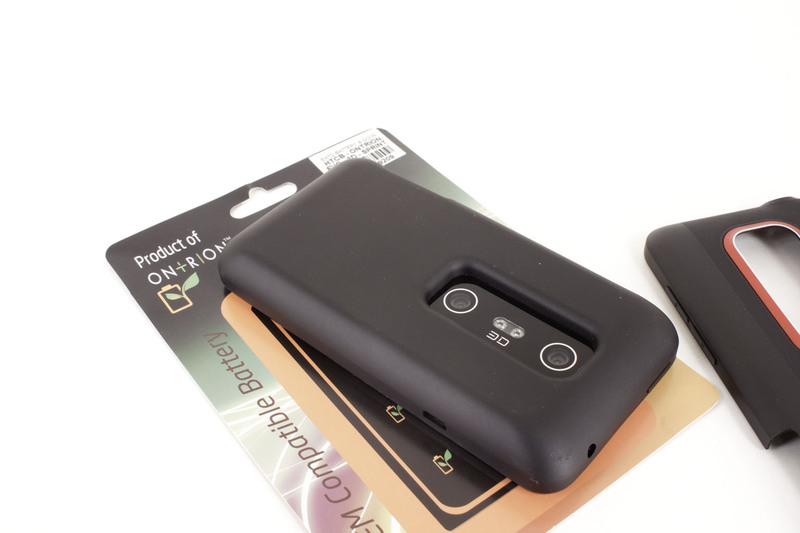 Aside from the battery there is also a replacement back that you will have to use with the Ontrion. This is rather dull in terms of looks and while it does a great job it does have some disadvantages as we found out in a recent review of a DryCASE waterproof case. The down side is that the 3D Camera is now down insides a small depression in the back of the case. We will talk more about the effects this has had on the camera in the performance section. 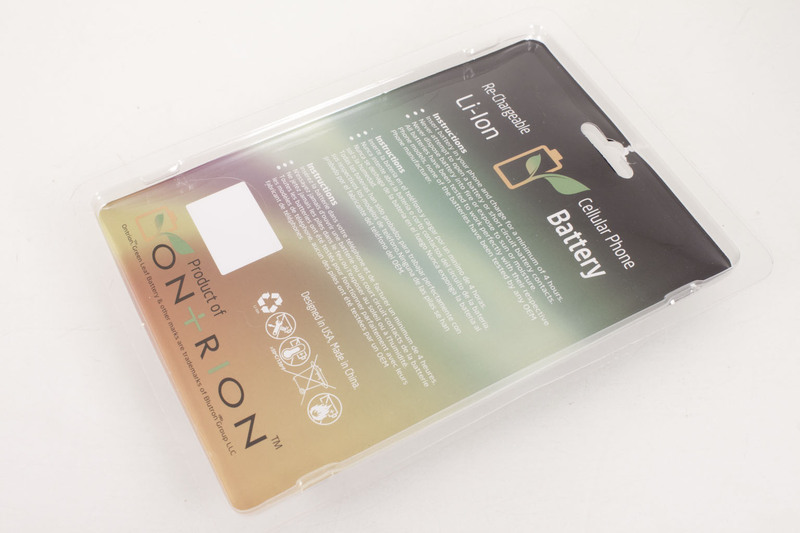 As we have told you Ontrion uses a Lithium-Ion design for its rechargeable batteries. This is a technology that uses intercalated lithium instead of the metallic lithium found in normal batteries. The difference here is that Intercalated lithium uses densely packed layers to allow the introduction of current to the polymer. The manner in which the Lithium Polymer is made can affect battery life and performance (which is something of a no-brainer). The battery for our EVO 3D (as we previously stated) is a 3.7V 2300 Milliamp hour model. 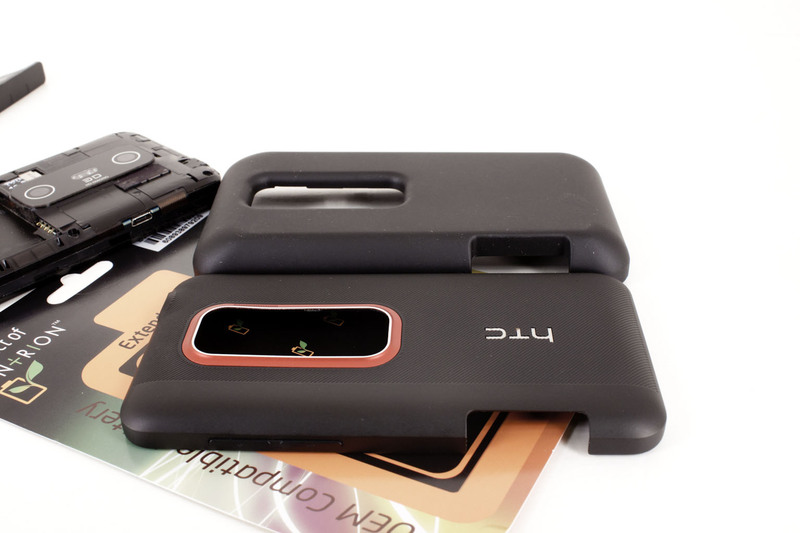 This is almost double the 1730 Milliamp hour battery that comes with the HTC EVO 3D. 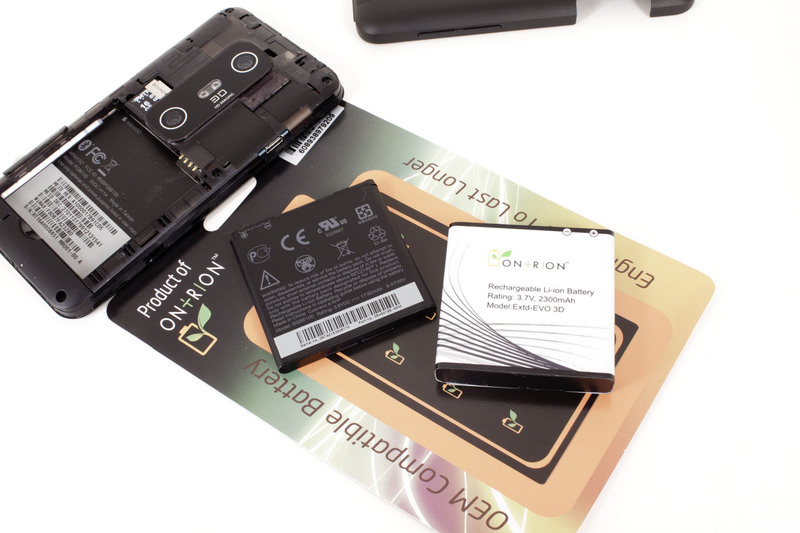 Of course there is a tradeoff; the Ontrion battery is also almost twice the size of the original battery. This means that you cannot use the original backing that comes with the phone and have to replace it with the rather dull one that Ontrion packages for you. As with any battery what you want to know is performance. Before running our testing we ran a base line with the stock battery and also refreshed it. To do this we drained the battery completely and full charged it three times. From there we used the battery for the next 5 days under normal usage and timed how long it took from full charge to dead phone on multiple runs (including standby time). This gave us an average battery life for the 1730 mAh battery at roughly 16.4 hours. This is not bad really, but still very shy of the 30-36 hours we have seen on some iPhones. We performed the same refresh on the Ontrion battery prior to testing it for the same 5-day period. We were very impressed as our average life cycle was 32 hours from full charge to dead phone. We wanted to be sure of this and continued the testing for another 5 days. The extra time we took to test did give us a more accurate figure of 30.2 hours from full charge to dead battery. This is very impressive as we did use the 3D Camera and even captured some 3D video footage during both tests. Our high time with the Ontrion 2300mAh battery was just over 36 hours and our low time was 28 for the ten day run(one of the times when we shot a lot of 3D stills and video). Now for the downside; the 3D Camera on the EVO 3D is not the best in low light and already has some focusing issues. These problems were further complicated when we were using the Ontrion cover that comes with the battery. The depth of depression the two lenses sit in block out ambient light which the camera really needs, but it is not enough to force the flash to snap. We found that we also saw more focus shifting when using the included case. Now, if you do not use the camera much that is no problem; but why buy a 3D phone if you are not going to use the 3D Camera. We also had problems with the vacuum sealed DryCASE, because the plastic film was not able to seal against the camera lens we were not able to use it at all. The distance between the lenses and the cover caused the camera to continually attempt to focus (on the case and not the object) we also noted that the air that was left there fogged very quickly. 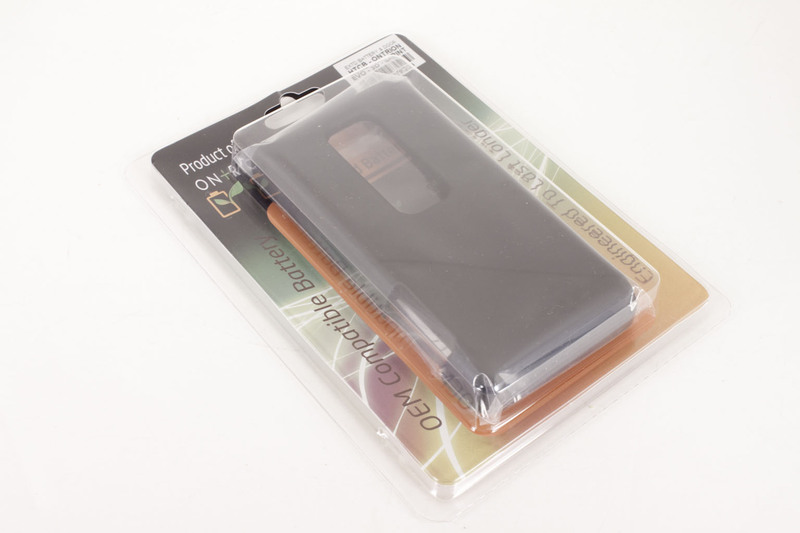 Of course you may never use a DryCASE with your phone, but it is something that you should still consider if you are thinking of getting this battery for your own EVO 3D. Ironically the added depth to the phone makes using the camera easier as there is more to grip when using the shutter button on the side. Value is another very subjective topic. What is expensive to some might be a deal to others. You can look at this topic in multiple ways. One is raw price and the other is what you get for the money. Each is accurate and both are correct ways to look at price/value. We tend to look at features, performance and real-property when we discuss value. However, we also take into account the raw cash cost of the item. Ontrion’s prices are very competitive. We have seen extended batteries cost as much as $80 for our phone. 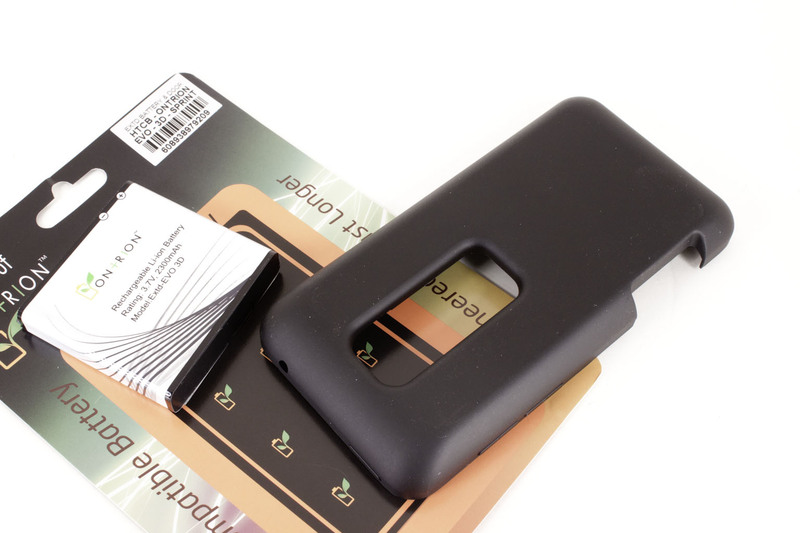 However, you can pick up the 2300mAh battery for the EVO 3D for only $35 from Ontrion’s website. This is a great price for a battery and cover (they call it a door) even with the issues we saw with the camera. 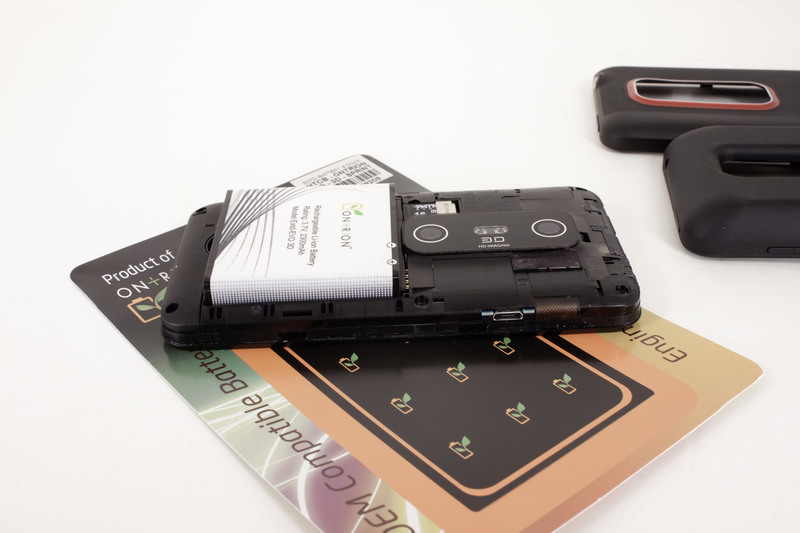 We are very happy with our Ontrion extended battery (although we wish the 3D camera worked better). It does not add that much weight to the phone and actually makes hanging on to it during conversations a little more comfortable. Still it is the cost and the extra battery life on our phone that really matters. We actually like to use the advanced features like 3D gaming, imaging, GPS, etc. on the phone and are happy that we can run these without worrying about having a dead phone. 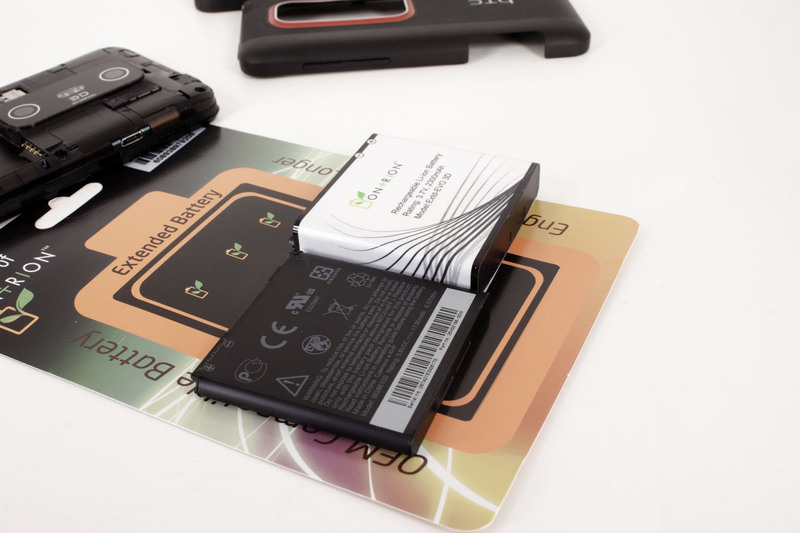 In that respect the Ontrion is a great product and one that we can highly recommend to anyone that is looking for an extended battery for their Android phone.